LOUISVILLE, Ky. – Following a successful first year, the National Fastpitch Coaches Association is pleased to announce that registration is open for the 2018-19 NFCA Coaches Clinics. A new speaker lineup is solidified for year two, which features 40 of the top softball minds in the country, who will share their knowledge, drills and secrets this winter. 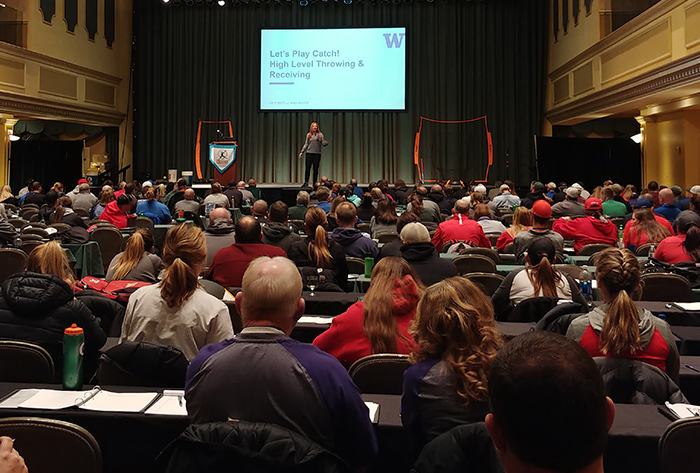 With fastpitch education as one of the NFCA’s highest priorities, each clinic offers 15 hours of educational programming, a social hour with the coaches, giveaways, and the opportunity to make you a better coach. Clinics will be offered in seven cities- Chicago (2), Louisville, Portland, Ore., Charlotte, Nashville, Minneapolis and Kansas City with five speakers at each clinic. Over two days, participants will gain knowledge from world-class speakers and be able to mingle with exhibitors, who will be showcasing some of the newest innovations in the softball world. Gayle Blevins, Iowa (ret. ); Mickey Dean, Auburn; Kenny Gajewski, Oklahoma State; Yvette Healy, Wisconsin; Beverly Smith, South Carolina.